Spend A Little – Save A Lot: A Light Tester That Really Works! If you are frustrated with throwing out Christmas lights each year because they don’t light or become a problem halfway through the season, you are not alone! Tis the season for holiday cheer, but our holiday lights can add many headaches to a season that is already busy enough. Save time and money and repair your light sets with the one and only Light Keeper Pro. This is the ultimate light tester and a must for anyone with a pre-lit Christmas tree or lots of holiday string lights. The Light Keeper Pro is different from any other light tester because it can actually “fix” light sets. Not only does it test individual bulbs and fuses, and sense currency through the light set, it will repair defective shunts (which is the number one problem with pre-lit trees). Once our trees have been sit up or our decorations outside illuminated, the frustrations do not end. Lights are all advertised “if one light burns out, the rest will remain lit”. That is the plan, but it doesn’t always hold true. When the filament inside a light bulb burns out, there is a mechanism in the base of the bulb that looks like a little glass ball. This is called a “shunt” and it allows the electricity to pass through the burnt out bulb to every other bulb in that sting of lights! When this shunt fails, we lose a portion of the light strand and we are wondering why? This is where the Light Keeper Pro proves it’s worth! 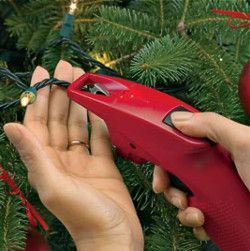 The LightKeeper Pro is designed to ease the stress of holiday decorating and solve the frequent problems associated with Miniature Light Sets and Bulbs. By simply plugging your light set into the LightKeeper Pro and pressing the Trigger, most problems can be fixed automatically.